Another W.I.P project. The Character Combo Review video series main goal is to analyse to its fullest the featured character combo potential in game, this cover a big spectrum that can go to the most basics RFWA, Links and 2 in ones to the most complex combos the character can do in a normal gameplay scenario (that means, with no glitches or impractical set-ups involved). All the videos follows a standard “order” that goes trough Basic Meterless Combos, Intermediate & Advanced Links and combos, Anti Air Combo Options, Trade Hit SC, Meaty Combos, 1 Frame CC’s (If available) to some character specific features. – SFA2 Gold (PSX) Cammy Combos, BnB’s & Links. – SFA2 Rose Punch Alpha Counter Combo Options. 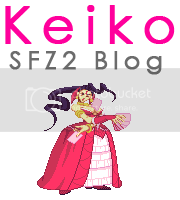 – SFA2/Z2A Sakura Conditional (Normal Speed) Links and Combos. – SFA2 Charlie Conditional Combos.